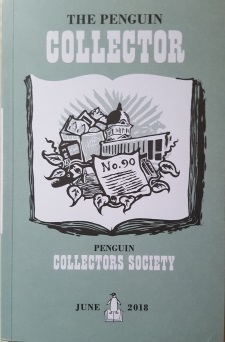 The Penguin Collectors Society publishes each year two issues of The Penguin Collector and in most years one or more special publications. Copies of each year’s publications are supplied to all annual members and to universities taking part in the bursary scheme. 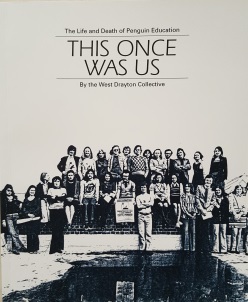 The special publications have over the years covered a wide range of aspects of Penguin books, their history, their editing, their design, their marketing, and the people who made Penguin an outstanding cultural phenomenon. Many are the result of original research, others draw on material presented at Study Days, and some have reprinted earlier texts of special interest. The most important is The Penguin Companion, now in its third edition, which provides an introduction and a guide to all of the contents of The Penguin Collector and the special publications, and to the Penguin history that they tell. The Special publications in 2016 were reprinted works about Hans Schmoller, Penguin's typographer and production director from the 1950s to the 1970s, and by Hans on the Paperback Revolution. In 2017, an anniversary book, Pelicans at Eighty, provided a visual history of the second most important series after Penguins themselves; and the 2010 Checklist of Puffin Picture Books has been brought up to date with a fully-illustrated supplement covering discoveries since then. There have also been, twice a year, new issues of The Penguin Collector. These and all the Society's earlier publications, in print and out of print, are fully described in the catalogue pages.